The wrapper header is a District Module and must be edited from the Admin Center. This is where Mega Menu modules containing navigation links to the different School districts are usually embedded. Note: Senior District Webmaster Access Right is required for this task. Refer to the "Directions for Senior District Webmasters" section of the article Easy Start Guide: Manage Website Rights. 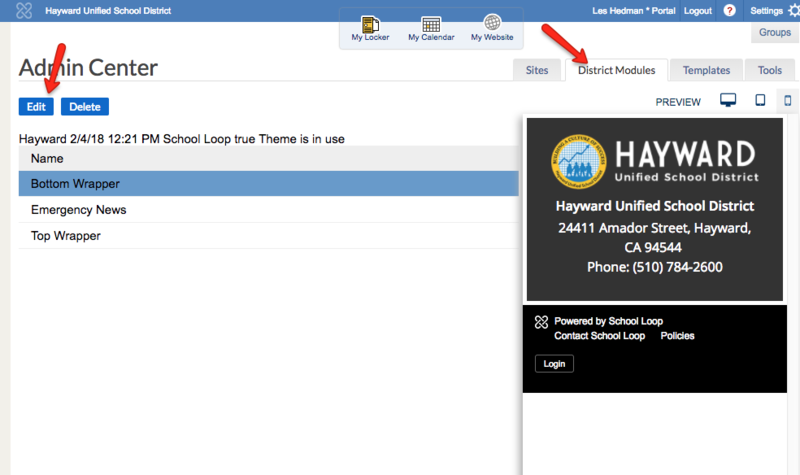 Click the District Modules tab. Click Edit and select the item that you want to edit. The changes will be reflected immediately on all sites that use this overall theme. The Module is highlighted as you click on them and the Edit Menu bar appears at the top of the page. The plus sign that allows you to insert more modules also appears. 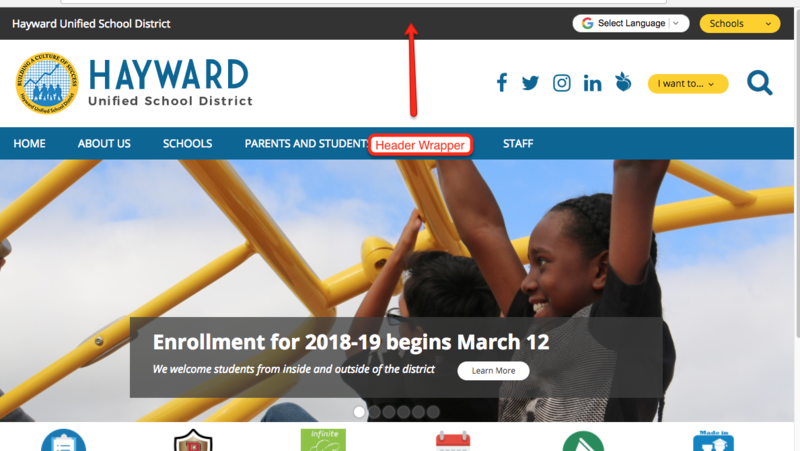 From here, you can make the necessary changes such as adding/removing Schools from the pull School District pull-down list and the like.